Imagery refers to mental pictures in your mind, or to words and descriptions that create mental pictures. Gustatory imagery, in particular, refers to imagery related to the sense of taste. In other words, with gustatory imagery, the writer describes what is being tasted. Those descriptions should create pictures in your mind that make you think about that taste. Examples of gustatory imagery are any descriptions that you read that can almost make you taste what the author is discussing or that can allow you to imagine what something tastes like. The salty, sweet flavor of salt water taffy was Carrie's very favorite thing about going to the beach for summer vacation. Joe plucked an apple right from the tree and crunched into it, the tart juices filling his mouth and running down his chin. Sue thought she was biting into an orange slice and was shocked as her mouth exploded with the bitter taste of a lemon. After being pushed in the pool, Joe's mouth filled with the burning taste of chlorinated water. The exquisite, subtle, salty flavor of the caviar made Penny remember why she loved coming to the restaurant. The familiar comforting warmth of the chicken noodle soup, with the moist chicken and soft carrots, instantly made Mike feel much better. The crunch of the peanuts filled Bill's mouth with the salty taste with which he was so familiar. The surprising sugariness of the baby's first lollipop immediately made her smile. The rich, creamy sweetness of the homemade ice cream was an amazing treat on the hot summer day. The strawberries tasted like the sweetness and freshness of springtime as Kim had her first berry cobbler of the season. The crab soup had a rich, seafood flavor that reminded Becky of her summers as a child spent in Maine. The tequila burned like liquid fire in her mouth as she swallowed the shot of alcohol. When she reached out her tongue and captured snowflakes on its tip, she reveled in the coolness in her mouth. The perfumey flavor of the Earl Grey tea filled her mouth. The expensive wine had just the right amount of tannins, making it perfectly dry. She took a sip and enjoyed the citrus notes playing on her tongue. The familiar, slightly spicy flavor of the seasoned meat in the meatloaf reminded Casey of the meatloaf that her mother used to make. The pumpkin pie had a gross, mushy, mealy taste with no hint of sweetness, as mother forgot to put sugar into the pie. The sugar-free candy had a saccharine, cloying aftertaste that made Betsy feel a little sick. The toothpaste at the dentist's office had a sharp, strong, minty flavor. The artificial cherry taste of the cough medicine was overly flowery and syrupy. The lobster was melt-in-your-mouth soft and had the perfect taste of delicate, buttery lobster meat. These are all examples of gustatory imagery. The idea behind examples of gustatory images is to allow the reader of the words to picture eating the food and to almost imagine what the food tasted like. A mental picture can be formed when descriptive language is used to create rich gustatory imagery. "Examples of Gustatory Imagery." YourDictionary, n.d. Web. 23 April 2019. 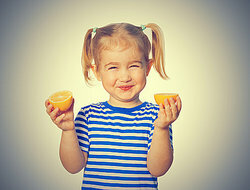 <https://examples.yourdictionary.com/examples-of-gustatory-imagery.html>. Examples of Figurative LanguageExamples of ImageryWhat Are Different Types of Poems? Qualitative ExamplesWhat Are the 5 Types of Imagery in Literature?